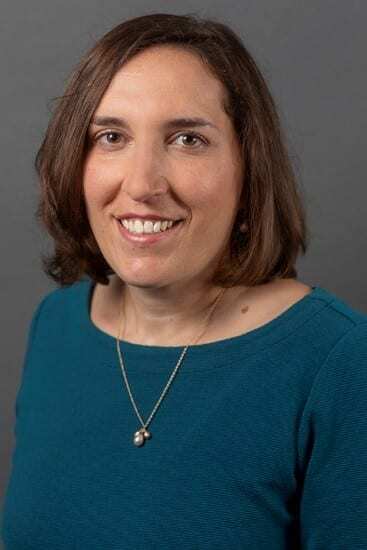 As Director of Government Relations at Trust for America’s Health, Dara Alpert Lieberman oversees the development and implementation of federal government relations strategies and works to advance and implement TFAH’s policy priorities. Through her leadership of the organization’s advocacy around infectious disease prevention, disease surveillance, and strengthening the nation’s public health emergency preparedness and response capabilities, Dara understands the importance of investing in public health preparedness, such as a strong immunization infrastructure. In its annual review of state and federal public health preparedness policies, Trust For America’s Health’s report, “Ready or Not: Protecting the Public’s Health from Diseases, Disasters and Bioterrorism, ” finds the United States does not invest enough to maintain strong, basic core capabilities for health security readiness and, instead, is in a continued state of inefficiently reacting with federal emergency supplemental funding packages each time a disaster strikes. Since 2001, federal funds to support and maintain state and local public health preparedness have been cut by about 28 percent and funding for healthcare emergency preparedness has been cut nearly in half. This has eroded preparedness advancements and reduced the country’s emergency response capabilities. With regard to disease outbreaks and immunizations, the report highlights that the seasonal flu vaccination rate, already too low, fell further. The seasonal flu vaccination rate among Americans ages 6 months or older dropped from 47 percent in the 2016–2017 season to 42 percent in the 2017–2018 season. This drop-in coverage may have exacerbated the severity of the 2017-2018 influenza season and the high number of illnesses, hospitalizations and deaths due to flu that year. Healthy People 2020, a set of federal 10-year objectives and benchmarks for improving the health of all Americans by 2020, set a seasonal influenza vaccination rate target of 70 percent annually. Innovating and modernizing infrastructure needs – including a more focused investment strategy to support science and technology upgrades to among other things improve disease surveillance and data sharing to transform the nation’s ability to promptly detect and contain disease outbreaks and respond to other health emergencies. Reconsidering health system preparedness for new threats and mass outbreaks – including developing stronger coalitions and partnerships among providers, hospitals and healthcare facilities, insurance providers, pharmaceutical and health equipment businesses, emergency management and public health agencies. Improving rates of vaccinations for children and adults – which are one of the most effective public health tools against many infectious diseases. We are grateful to Dara Lieberman and TFAH for sharing this important information. Taken together, action on TFAH’s recommendations would make the United States safer for all its residents.